In the games there was special Technical Machines (TM's) which taught movies that were key to progressing in the game like Strength, Sly, Surf, Cut. these were called Hidden Machines (HM's) and the moves they taught could not be forgotten unless the player went to a Move Forgetter. Now i recall early in the anime and Manga when Ash met with a kid who had an Eevee and was being forced to choose what kind of Stone to use by his 2 older brothers who each had a Joltion, Falrion and Vaporion they used a TM to teach Eevee a new move which allowed the kid to win his battle to show how strong his Eevee could be without evolving. No, HM's and TM's never (see EDIT 2) appear in the regular episodic anime. It's understandable that these would be omitted from the anime. Often, these would be used in the games to allow the player to access different areas of the game. Because the game was viewed from top down, a simple rock in your path could cause a serious issue. This is why the games had HM's/TM's like Rock Smash, to get around such obstacles. However, consider a similiar scenario in the anime. If there was a very large rock in the path of Ash and co., they would not likely need a Pokemon to move or smash it. If they did, the rock would have to be pretty massive to block the way, and there would be other ways around it. The use of TM's and HM's in the anime/manga was not as apparent, and was left out accordingly. In the anime, every pokemon pretty much automatically knows every move it can learn. Because, ya know... it would make more sense. I don't think they'll ever be in the anime, since anime-verse move learning is generally more... dare I apply this term to the anime... logical than game-verse. Anime-verse TM/HM moves seem to be taught and worked on and developed like a skill rather than just implanted. Like... Pikachu and Iron Tail, Baoppu and Solarbeam... they were both taught and spent time mastering that particular move. They didn't just randomly learn it from a rather hazy "level up" method. So yeah, no. TM and HM moves are taught, not implanted. The discs we use in game don't really work in anime-verse. EDIT: As noted by @Dragon, there are Pokemon in the anime that know moves that can be learned through HM's/TM's in the games, such as surf and rock climb, but there is no evidence that these moves were learned specifically from an HM or TM. In Pokemon Diamond and Pearl, Ash's Torterra knows Rock Climb which is an HM. In Pokemon Best Wishes, it was shown near the end that an Oshawatt knows Surf. However, Ash's Torterra learned Rock Climb while it was a Grotle and he learned naturally without any help. There's also a lot of other cases of Pokemon using HMs, but they are all naturally learnt, no disks. 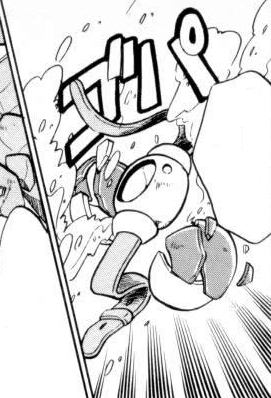 In Pokemon Origins, Red did receive the HM for Cut, and in the manga, Surf was also an HM that was used quite commonly; it even shows Red trying to get the HM 3 but fails, then Misty gives him one. Here is a link to Bulbapedia to which I found the answers in.